Plumbing services and repairs for new construction, remodels, and additions. We are also Licensed Plumbing Contractors. Schedule a Plumbers' visit. Our technicians clean and service ALL sorts of drains for residential, commercial and industrial properties. Schedule the drain inspection visit. Our Journeyman Plumbers install or repair water and sewer lines for residential, commercial, agricultural or industrial. Schedule a water or sewer line visit. Serving many communities in the Treasure Valley of Idaho and Oregon, from McCall to Homedale to Ontario. Check out our Service Area map. 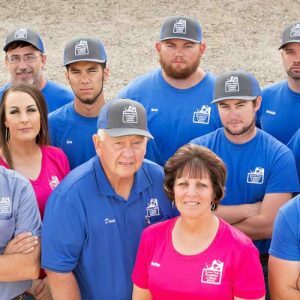 Treasure Valley Plumbing & Drain Service is a full-service plumbing and drain cleaning company serving the residential, commercial and agricultural customers of Idaho and Oregon since 1985. Our journeyman plumbers and drain cleaning experts are the best in their field. Our service area is the lower Treasure Valley of Idaho and Oregon. When you need plumbing and drain services, contact us today to see if we can service your area. Plumbing Services, Repairs, New Construction, Remodels and Additions...No problem is too big or too small for our Master Journeyman Plumbers and Technicians to solve. Residential, Commercial and Industrial Drain Cleaning Services. Our technicians understand how drains are plumbed and know how best to clean and service them. Our Journeyman Plumbers can repair or install water and sewer lines for any residence, commercial, agricultural or industrial building. Our technicians are licensed and certified to install, repair, replace, and test Backflow prevention devices for residential, commercial, and industrial systems. Our Super Snake sewer line machine cleans up to 150’ of drain, and our smaller Snake machine cleans up to 65 feet. With our specialized Super Truck, we can solve ANY drain problem. Our Super Cam for video inspections and locations of drain lines gives you a bird’s eye view of the inside of the sewer line, to see what, where, and why there are drain problems. Our Super Jet Hydro Jetter can clean drains of sludge, grease, sand, roots, mud, manure, straw, and debris in pipes from 3-10 inches in diameter up to 300 feet plus in length. We install, repair, or replace Water Quality Systems and provide and change out the filters required for those systems. Solutions including Water Softeners and Reverse Osmosis Systems. We install, repair, or replace of all types of Water Heaters for residential and commercial uses, in compliance with NAECA 2015. We also install Hot Water Recirculating Systems. A Radiant Heat Flooring system keeps concrete floors warm and comfortable. The heat zone is at the floor where it is needed, which works particularly well in areas that have high ceilings. WHAT SERVICE!! We had a new water heater installed last week, realize we had either a leak or ?? Called this morning to have someone come out and check it out. He just left after fixing the problem. Great job. You have been great! We like that the response time to our calls for service whatever it may be for are acted upon in a timely manner! We truly appreciate the services you provide for our business! Thank You! At TVPDD, we are very proud of our employees, their dedication to our customers, and their pride in their work. Once a week we will be spotlighting one of our outstanding employees on our Facebook page. You can learn more about our great employees by following the linked article to our website. 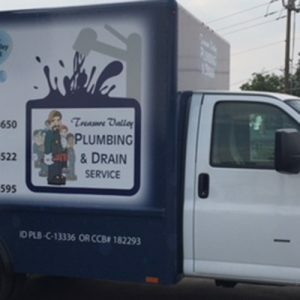 Treasure Valley Plumbing and Drain Service is currently in the last stages of preparing our new Service Truck #10 to get out on the road to service the Treasure Valley. This will be our fourth plumbing and drain cleaning service truck. With the high demand for service here in this great Treasure Valley, we are doing our best to provide our customers with the fastest and best service they deserve. 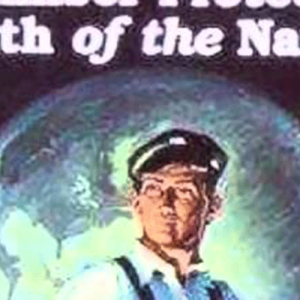 The importance of the plumbing profession is greatly misunderstood. In history, the Romans were credited with developing the first plumbing systems; however, it would be several more hundred years before scientists discovered the threat of the bacteria and disease that existed in the unfiltered water of the Roman public baths.